Well my lovelies, what a night full of gin making, scares, laughter, more gin and of course pork pies we had! Ok, I’ll stop pretending I’m Mrs Lovett (though secretly I’ve always wanted to have a small cameo in The London Dungeon). The Merlin Events team hosted just over 120 guests in The London Dungeon last night to showcase it as a corporate or private event space – the VIP Experience if you will! On a hot summer’s evening, you may argue that the last place you’d want to go is into the dark depths of The London Dungeon. The South Bank sunset was a beautiful shade of pink…however our eager guests arrived with looks of trepidation and fear on their faces! I of course tried to put them at ease by letting them know there would be PLENTY of gin on arrival and after the tour! In case you don’t know what The London Dungeon is… it’s a mix of immersive theatre, jumps, scares, amazing lighting effects and a script full of twists and turns. 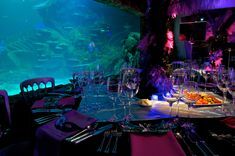 The beauty of this London events venue is that the entertainment is already in place. Around 10 live shows that will leave your guests feeling weak at the knees and having to top up their energy supplies with plenty of pub grub in the Victorian Tavern afterwards! However, Rosie (Events Manager at Merlin Events) and I wanted to create a more interactive VIP Experience using all our event spaces within The London Dungeon. The evening started out with a photo opportunity in our stocks for every guest group! Then, guests were welcomed to enter our Gin Palace to construct their own gin cocktails choosing from a selection of gin, tonic and many an unusual garnish! This went down well as all our guests got involved and made a drink suited to their taste. If you’re not a gin lover (like myself) fear not! We had plenty of prosecco on the go for those poppets who suffer from the old ‘Mother’s ruin’. Next…it was time for bravery from our guests as they embarked on our live tour through London’s gruesome and dark history. They met infamous villains and traitors such as Mrs Lovett, Sweeney Todd, Jack the Ripper and many more. We also had some filming going on during the tour and even our videographers had to have steady hands and not let the show rattle them. We had some fantastic feedback and really enjoyed hosting everyone who came! Thank you very much for the invitation to attend the London Dungeon Experience last night. We had a really great time, the interactive walk through was a lot of fun and kept us on our toes! We wanted to make special mention of Mrs. Lovett who was by far our favourite. She was very funny and wonderful in character. I would also like to recommend Alex Crow, the walking Magician, who really impressed our table, twice! Having been slightly scared of what the night would entail before going I have been bragging about how much fun it was to my colleagues all day today! 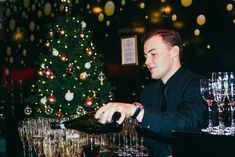 The London Dungeon is definitely a great space for work groups who want to do something different and fun together, an office Christmas party or a private event! Read more about this wonderfully unique venue here. You can view all the photos from the event here! Not sure which of our venues is right for you? Have a chat with our team and request a callback here.